Elite-like science fiction game, in which you can choose to play the role of a trader, pirate or mercenary, Smugglers 3 and Smugglers 2 is perfect game for you ! 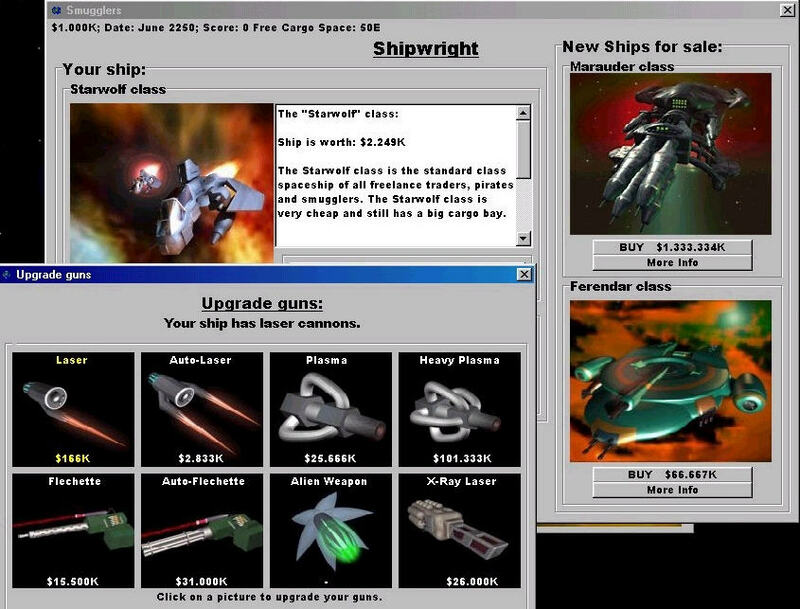 Smugglers 2 is the sequel of the known strategy-trading game for Windows. You can be a cunning smuggler, a dreaded pirate, a sly trader or a legendary soldier - in this science-fiction game it's up to you! 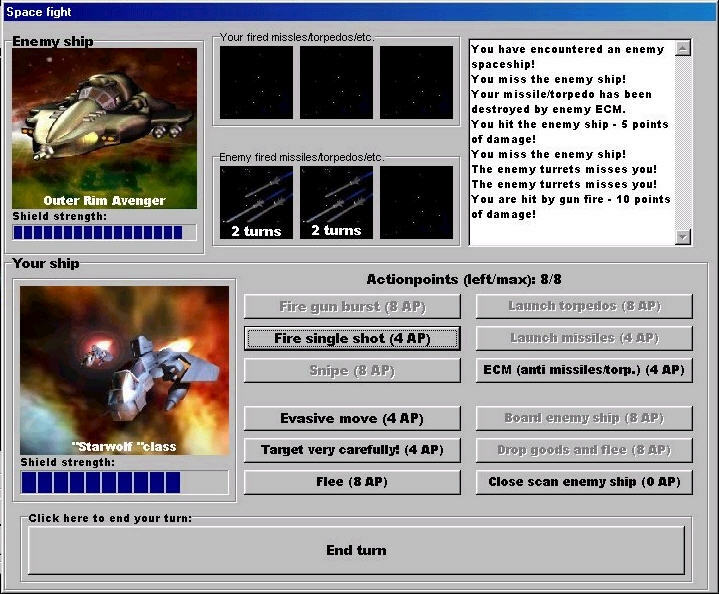 Elite-like science fiction game, in which you can choose to play the role of a trader, pirate or mercenary. Work with or against four different factions all with completetly different uniforms and medals. Previous version of Smugglers 3 new release now ! Smugglers 3 you can play a greedy trader, an ambitious bounty hunter, a ruthless pirate, a mix of those or one of many other professions. Backed up by a crew of different kinds of crewmen you can visit more than 75 planets in 25 systems in your attempt to gain favors with one of the four factions in the known galaxy. SMUGGLERS 2 it is a time of civil war. The corrupt Federation is ruling the Outer Rim worlds with an iron fist. Brave freedom fighters join in a coalition against the oppressor. .
Will you be able to follow in the footsteps of George Washington and lead your brothers to freedom? Or are you flattered by the promises of the Federation and want to restore "law and order"? Or maybe you only want to profit from the war as an independent trader or pirate? THIS time it's really up to you. SMUGGLERS 2 has many more features than most other games of its kind. Its action ranges from fighter-to-fighter combat, the control of huge spaceships with dozens of crew members, up to attacks on entire planets. New concepts like crew combat, missions and more star systems make this game rock. SMUGGLERS 3 you can be promoted, receive medals and campaign ribbons and upgrade one of the 19 available ships from a great set of different equipment parts. It will be necessary to engage in space and crew combat against the four different factions in the game and even to conquer whole planets.